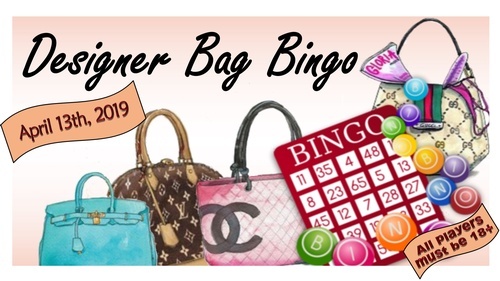 Bingo begins at 1:00, doors open at 11:00 am. $35 for 20 game packet! Each game card has 3 bingo faces! *Click on the Register Now button above to pre-register* - NOTE: this does NOT guarantee access to event. By "registering" you will be added to an event email list to be kept informed and to be notified when the tickets will be available for purchase, be sure to register so you can be the first to get the inside scoop! You really will not want to miss this event!